The Family Plan | In the Crayon Patch..
Well, that left me with lots of leftover blocks.. and I finally have put them together. It is 42″ x 48″, a nice size for a baby’s quilt or play mat. 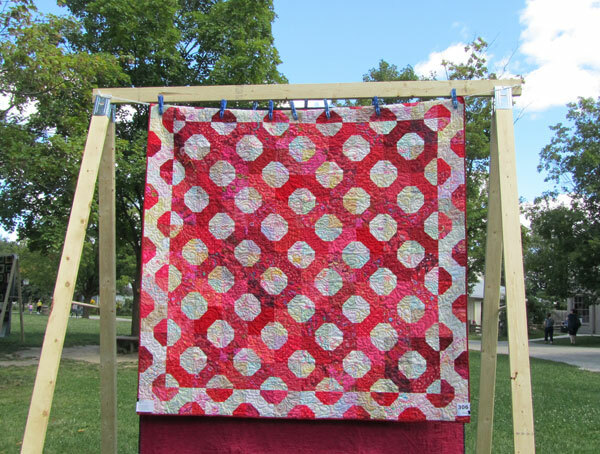 Just looking at this quilt makes me smile- it has two of my favourite things, the colour red, and Kaffe Fassett Fabric.